For the envoy, there is some debate regarding how the end-words should be arranged--one text* says that 5 3, 1 2, 4 6 should be followed--but others often disagree and cite the repetition of the first stanza as the gold standard. And, then, poets (who generally follow their own muse) often have their own ideas as to how the overall form will play out in their own poems (poetic license). 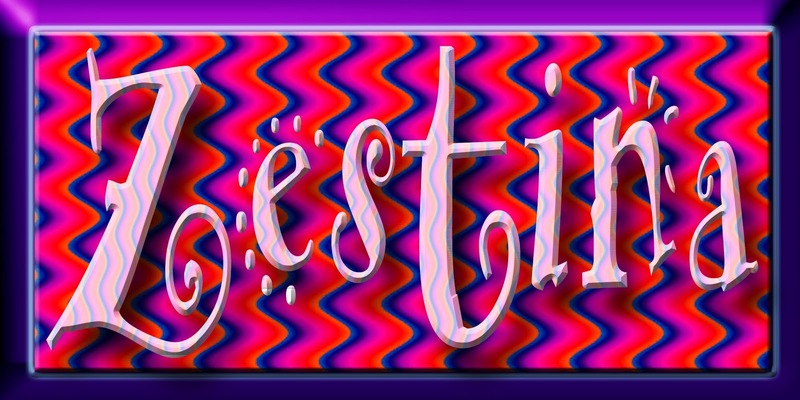 "Zestina" could be a comprehensive poetry site dedicated to the tricky Sestina. Unfortunately, there is little profit in such heady and literary sites--such a site would have to be a labor of love, and, unfortunately, we cannot sell at "labor of love" costs. However, the term itself suggests a colorful and lively website, perhaps in the tech department. Who doesn't like a zesty website with literary overtones? There is no law that says the owner must use this as a poetry site. Perhaps the owner could develop a poetry word tumbler, or if you are especially talented in coding, a sestina tumbler: the user plugs in six words, desired order for envoy, and parameters regarding use of each word (for example, use as a root word), and Voila! A computer-generated sestina! 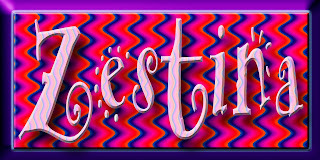 The term "Zestina" has not been found in the USPTO.gov or Trademarkia.com data bases. If you are a form poet, we also own FormPoetry.com; for more information, please inquire about price. (The website and the domain Poets.net are NOT included in any sale of FormPoetry.com and are NOT for sale). To show the sestina form in action, we have posted one, written by the webmaster (not out of ego, but necessity, given that she owns the rights and can post it at will without paying royalties. There are far superior sestinas out there). *C. Hugh Holman and William Harmon. A Handbook to Literature, 6th Edition. New York: MacMillan Publishing Company, 1992, page 439. **"Psychedelic Bingo," is copyright 2000 by Jennifer Semple Siegel and may not be reprinted or reposted without permission from the author.